It isn’t much of a secret: we love the polar regions. We simply adore the opportunities to visit the Arctic and the Antarctic and observe the creatures that make these pristine environments their homes. However, each year we also enjoy the chance to shed our parkas, fill the Scuba tanks and warm our bones in some of the most culturally rich or remote tropical locations. The options for remote coast cruising in warm weather destinations are vast and varied. Papua New Guinea offers the chance to visit the most culturally diverse nation on Earth; one that is best explored by private vessel with a private helicopter or chartered aircraft to visit the Highlands. Neighboring Solomon Islands and further east to Vanuatu offer enchanting extensions to the happy smiling welcomes that are commonplace in Melanesia, and will offer diving and snorkeling every bit as good as Papua New Guinea. 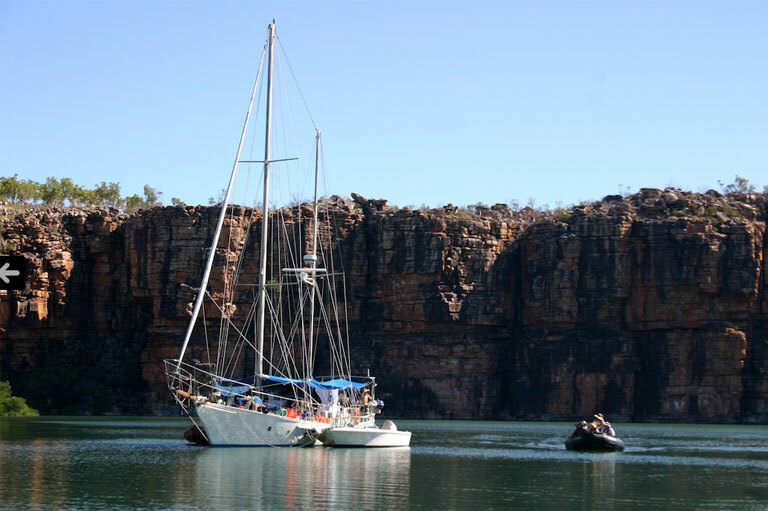 The Kimberley Coast in northern Australia, the sparking waters of Indonesia, the breathtaking beauty of the Indian Ocean options are all places that are best experience by private vessel with an Expedition Leader familiar with the hidden ‘nooks and crannies’ where adventures and lasting memories can be found. A traverse of the Pacific can be undertaken by leapfrogging from port to port, or it can be made into a remote coast cruise that can see vessels in waters that are rarely visited and in perfect, pristine condition. Our recent voyage from Tahiti to Hawaii via the Line Islands yielded experiences that will be treasured forever. Polar waters will always be favorite places for intrepid expeditioners, but each year we undertake several expeditions in much warmer water; a chance to warm up, play with our dive gear and to underline that one can have some very adventurous experiences in tropical weather. ‹ After Monaco: What should designers understand about Expedition Yachts?